If we thought our first booth was cold it was nothing like our walk about! 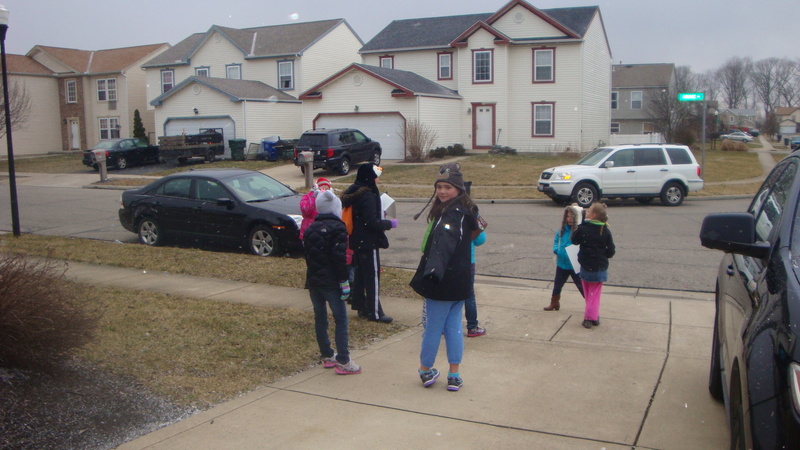 Last week was girl scout week and also walk about week, so we cleared our area with council and made plans to walk on Monday. Unfortunately, it poured rain and hailed so we cancelled and rescheduled for Wednesday the only day the whole troop could make it. We watched it snow and get colder ALL day, but we couldn’t cancel or we wouldn’t be able to do it and my girls wanted to experience everything this year. So they bundled up and met in my garage. I had the table all set up for the parents to grab their newsletters and sign up for activities coming up because I am organized and it was the perfect time right?? 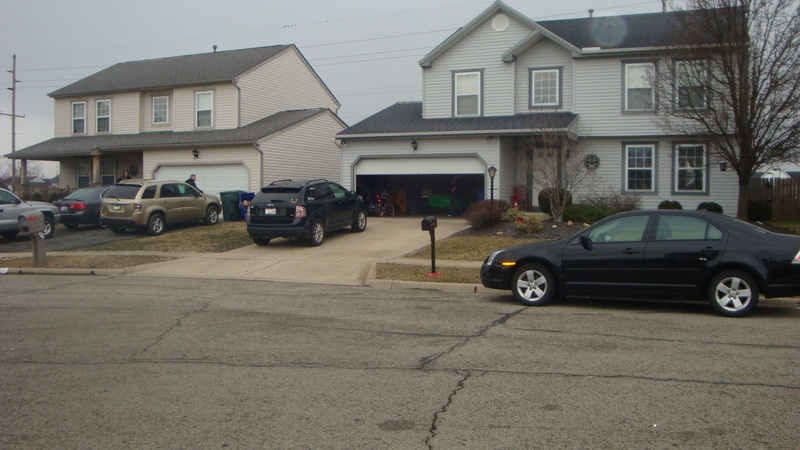 well no, lots of parents were too cold to even get out of the car LOL! 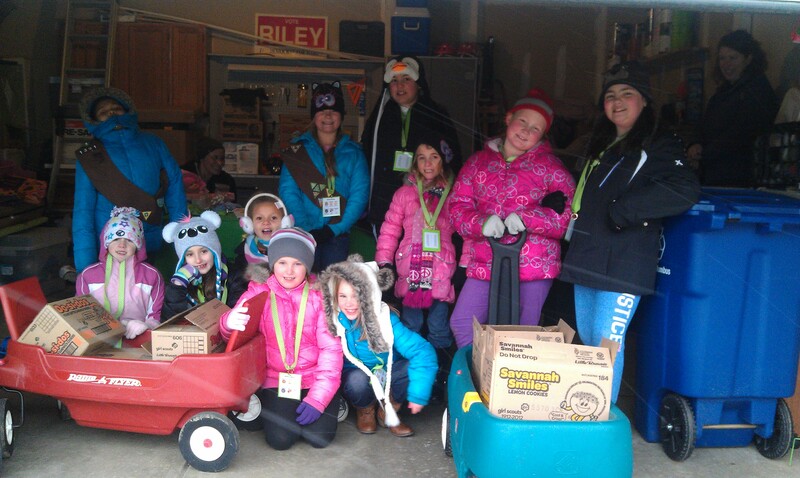 The girls grabbed their cheat sheet lanyards and packed up all the wagons to started out…. They worked so well together I couldn’t believe it, being that cold surely there was going to be a cranky one I would have to send back to the garage to stay with my co-leader Abby but NO they were amazing. 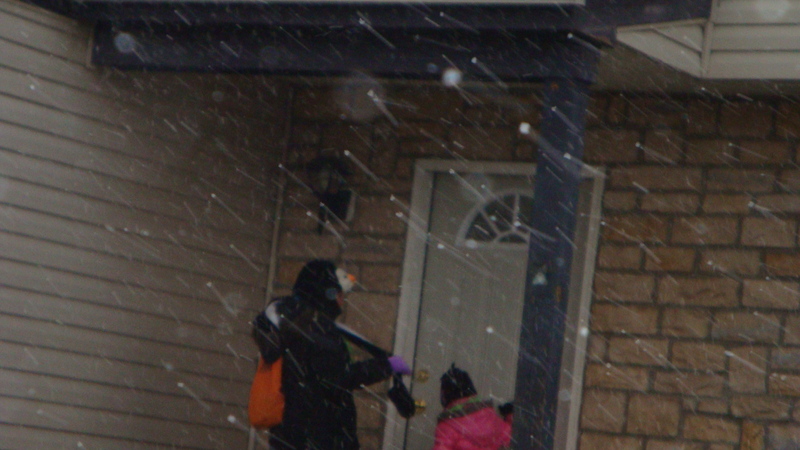 They took turns and was polite we even found out there was another leader in my subdivision who wished us luck then promptly had three girls run out of her house in the snow the other direction with cookies in hand to sell to the neighbors. NOT the Girl Scout Way especially since I signed up for this neighborhood and had gotten approved ANYWAY I digress. 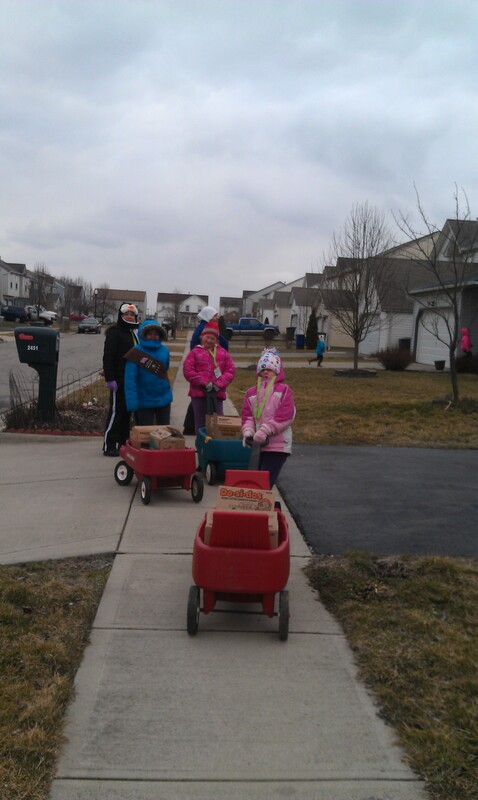 We went half way around the neighborhood and sold 10 boxes of cookies, saw people literally look out windows and not answer the door, taught the girls what no soliciting means and that boys can be ridiculous and girls can be giggly! My super mom Stacey walked with us and was just as impressed with these girls as I was so we went back to the garage for snacks and to get out of the wind. 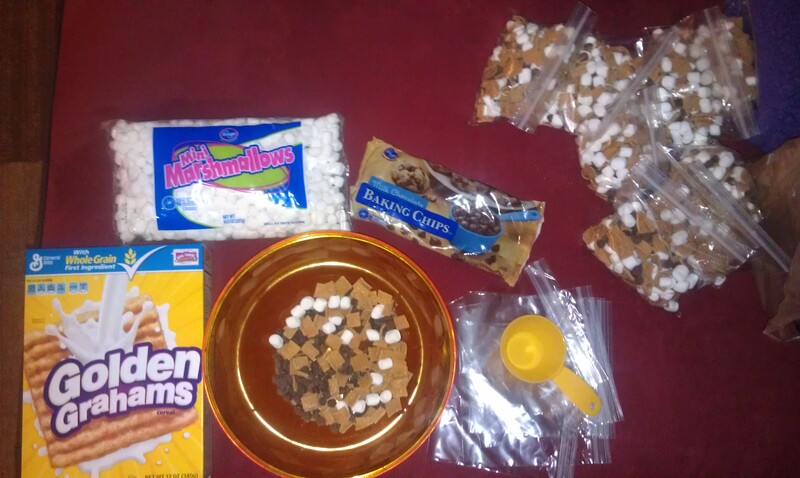 Our Harlie brought snacks and then I made smores mix too! 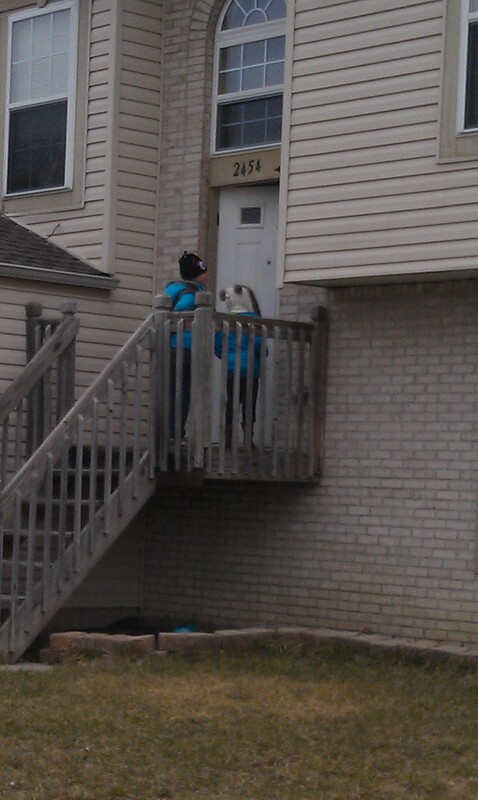 The girls took that to go once their parents picked them up. 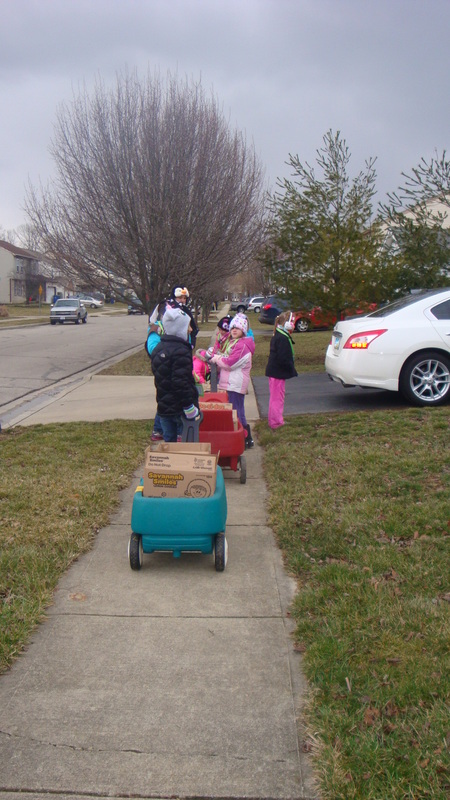 After snack they went right back out in the drive way to hold signs and try to sell more while the parents where stopping to pick them up. ALSO Since all my parents had to come in the garage to get their scout I made the most of it by having any info I needed to pass out and sign up sheets for upcoming events ready to pass out right there! 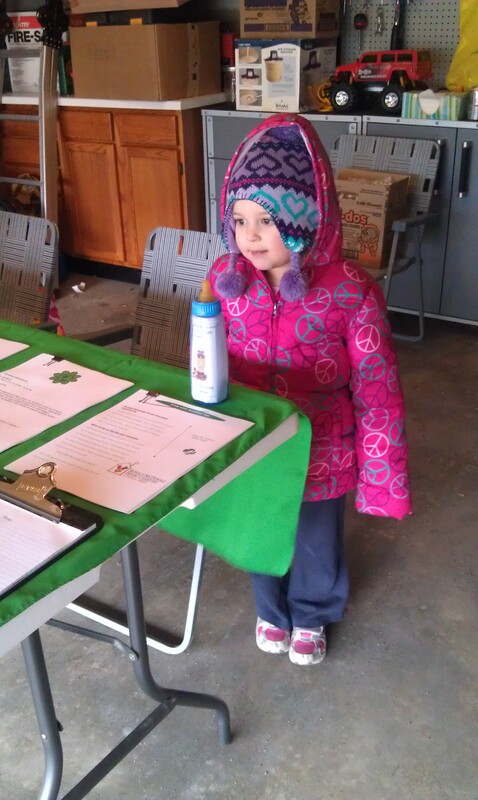 It was a cold but fun day and we can’t wait until next year ! 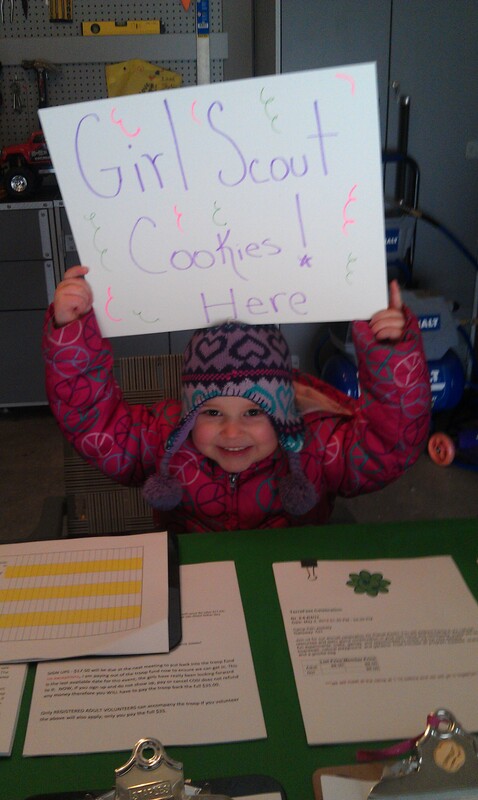 This entry was posted in Girl Scouts Troop 1391 and tagged girl scout cookies, girl scout walk about, girl scouts. Bookmark the permalink. I know this is almost a year after your original post but what a cute and fun idea. 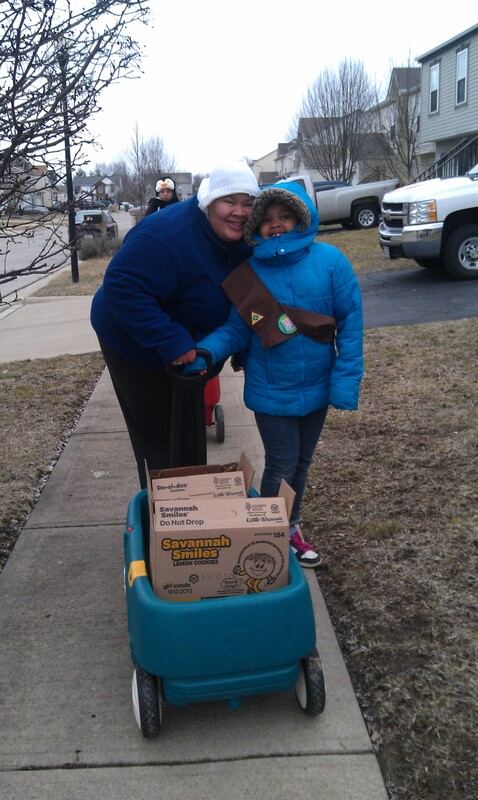 We are a troop of Cadettes in Northern California our neighborhood sale is normally sunny and my girls don’t look quite as happy to be out selling cookies. What great attitudes your troop has. Super cute lanyards making these this year with the cookie description. Great job.